My recent live interview  with Charles Kirk  generated quite a few questions. A number of them we were able to address during the chat, but many went unanswered. If you were in attendance and didn’t get your question answered, look for it below. But even if you weren’t there, hopefully you’ll find this useful to observe. 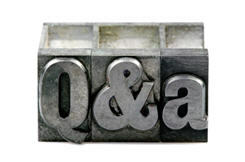 I’m also happy to answer questions via the comments section below, so feel free to post yours there! 1. Kevin: Jeff, what timeframe do you normally use in your charts, and do you let the bar close before entering a trade? Thanks for your question Kevin. I focus on the daily charts for swing trades, and the 3-minute charts for day trades. I don’t wait for the bar to close before entering a trade. That might save me an occasional failed signal, but I feel it will cost me many other trades which work right from the start, so for me it’s worth taking my entries as they signal. 2. Ryan: Do you have any execution techniques that you like to use? Hi Ryan! I like to keep things really simple, so I use basic stops for entries and exiting losing trades. That way, once a level has been crossed, a market order is generated immediately and I’m in (or out of) the trade. I’ve tried to get cute in the past with more complicated orders or execution techniques, but in the end it made me no more money and often cost me opportunity (buying breakouts with a limit order, for example, as the stock never looks back). When I’m booking profits, I’ll use limit orders at my targets and let the stock come up and hit me, but that’s the only time I utilize them. 3. Moe: How can you scan the market for setups or make trades when the market is so volatile and so driven by daily events and emotions? Yes Moe, it truly is a news-driven environment right now, and it might be that way for a while. I think the key is recognizing that I’m not trying to get in front of any news or predict what news may come along. Instead, I’m looking to put capital at risk when there’s an expected reward, and in order to do that I need to be hitting the charts regularly. Training your eye to do that will always leave you with opportunity, whereas waiting for emotions to settle could leave you sidelined possibly forever. Remember, that emotion and volatility brings with it opportunity. On the flip side, a trendless market with nothing but uncertainty brings with it very little opportunity. Keep looking for trades, and keep your capital moving. 4. Guest: What sectors are you finding most of your trades these days? Hello and thanks for your question. In terms of swing trades, I’ve traded many sectors and there really has been no consistency there to speak of. When the right patterns emerge, I take the trades. In terms of day trading though, I’ve focused frequently on the ags, financials, and energy names quite a bit in recent weeks, as they’ve been in play regularly. 5. Jon: Isn’t the general rule of thumb that in a correlation study, most of the correlation comes from selection, then overall market, so what we are looking for in trading is the small fraction which lead the pack on a given day which will then beat just trading the index ETF’s? Hi Jon, the recent discussion of being in a highly-correlated market (to the S&P 500, for example) carries with it some weight, yes. And I do agree that what we’re after is to locate leaders and trade them instead of the ETF’s. Keep in mind though that there will always be outliers which exhibit extreme strength or weakness, and those carry with them some real potential for good trades. So, seek out momentum whenever possible, and you should find far better bang for your buck vs. the ETF’s. 6. Sam: Do you ever trade options? Hey Sam, I do trade them on occasion. In longer-term accounts, I’ll short puts to establish long positions, then sell calls to collect premium. I don’t do a lot though in terms of directional trading with options. Occasionally when a stock looks to be very high risk, such as BP recently, I’d rather hold options overnight than common, simply to have defined, limited risk. The rest of the time, I’d rather have the shares for the greater liquidity, less slippage, and more flexibility to trade extended hours or pre-market (if necessary). 7. Tom: Do you hold stocks into their earnings report or do you only trade following the report? Hi Tom, actually I never want to hold a stock into an earnings announcement. Being a technical trader, it’s important for me that I can use the price action to determine both my entries and exits. That’s technical. When it comes to an earnings announcement, we’re talking about a major fundamental event, and since those usually happen outside market hours, I can’t control my risk. The stock is so likely to gap big after that news that I might have no shot at closing the trade at my planned exit. The excitement of potential ‘free money’ lures many traders into acting on their hunch, but it’s simply a coin toss  and I am not about that with my trading. So, I want to stay responsible  and only take trades where I expect to be able to manage my risk appropriately. 8. Frenchy: What is your favorite ETF you like to trade? Hi Frenchy. When it comes to the main index ETF’s, I like the usual SPY, QQQQ, and IWM. Typically I’ll avoid DIA since it’s only 30 stocks, and that can complicate matters more. In terms of leveraged ETF’s, I’ll go with SSO/SDS, QLD/QID, and TWM/UWM. Those are double exposure, and while there are some triple exposure ETF’s out there, I find the 2x levered funds are enough to provide nice moves. 9. Leon: Do you believe a high volume move to the downside can be a reversal signal? Hello Leon, that’s a good question. The short answer is yes, but it depends on how it happens. A stock which has been in a parabolic uptrend  will sometimes signal exhaustion in this manner, reversing to the downside on heavy volume. Often, that’s followed by additional weakness. However, a stock that’s range-bound which sees a high-volume decline on a given day may see no downside follow through. So it can happen, but I’d be careful not to put a blanket statement across all high-volume selloffs that they’re reversal signals. 10. Jon: Do you feel price follows volume, or volume follows price? Hi Jon, this is a real chicken-and-the-egg topic, and there are cases of both. For example, consider a stock in a pattern like a bull flag . Price is consolidating, but one day edges toward upper resistance  on heavy volume. That will many times signal an impending breakout, so volume in that case tends to lead the way. In other cases, price begins to gain momentum, and as the stock gets more attention, the volume naturally increases (following the move in price). See CAGC in recent weeks for an example of this. So it can happen either way. Nonetheless, I care the most about price, so if I’m seeing volume kick in ahead of a breakout, for example, I’ll still want to see price confirm that before I look to make an entry. That keeps me sidelined until I believe a real move is starting. Just remember, price is of utmost importance. If you’re on the wrong side of a move, it doesn’t matter if the volume is heavy or not, it’s still going to hurt! 11. Ryan: Do you have any interesting research projects in the works? Hi Ryan, actually I just recently completed a huge project with the creation of the Advanced Trading Course  over at TheStockBandit University. That was a major project and I put everything I know into that course, so I don’t plan to do any other big projects for a while. 12. Layne: What indicators do you like to use? Certain ones in certain markets? That’s a great question Layne. I should say right up front I don’t rely on any indicators across the board, and actually utilize them rather infrequently. However, there are times when they can help in the trading process, so I’ll put them on the chart when it’s appropriate. A moving average, for example, is really only helpful in a trending market. I just put out a post explaining how and when to use moving averages . I will sometimes add ATR to my chart  to see just how much (or how little) movement there’s been lately, and that’s another one which has been helpful for me. If anything, the ATR value lets me know when there’s just not enough movement  to offer real potential relative to the risk I’d be taking. 13. Jake: What are the setups that you look for on the chart before buying and selling? Hi Jake, first I’m going to look for the presence of a trend. If there isn’t one, I’ll take a completely different approach in terms of what types of patterns I’ll look for. If there is a trend, then I’ll be watching for continuation setups like flag patterns , pennant patterns , and triangle patterns . And along with the price patterns, it’s important that the volume activity is confirming the price action, so I monitor that closely as well. Taking note of the rhythm of a trend is another key element, as it helps me gauge whether I should focus more on breakout patterns or utilizing pullbacks to get on board. There are a ton of ways to skin the market cat, but I’ve found it most effective to adjust to the environment you’re in rather than forcing one particular style at all times. 14. Ryan: Do you see the growing awareness and popularity of ‘technical analysis’ translating into an easier market to trade in the future, or a more unpredictable one as more retail money uses the same methods? Hello Ryan, another excellent question. Technical Analysis 101 has certainly become more embraced by retail traders than it was even a few years ago, but my response to that is somewhat complicated. First of all, I don’t think there’s a uniform usage of technical analysis methods across retail traders. Take 10 traders and ask them to define a particular pattern, or ask when they should use a particular indicator, and you’re likely to get a variety of answers. So that’s one issue I think that keeps everyone from seeing the exact same patterns or acting on them at the exact same time. Another issue is a bit more vague, which is the program trading we’ve seen such a growing amount of in recent years. Computer algorithms are likely preventing some patterns from fully maturing, or the institutional money heavily fades a breakout, causing many retail traders with tight stops to dump shares, only to see the stock head right back up. So it can be pretty tricky out there, and for those reasons, I do not think the rise of Technical Analysis has resulted in an easier market to trade. Bottom line is, ‘they’ will never make it easy. You and I have to keep paying attention to what’s working and what isn’t, and do more of that which is working ! 15. Guest: Have there been any patterns you’re finding that are working well in this environment? Thanks for your question, and yes there are. I’ve focused more on trading the rising and falling wedges , as well as the “tilted” trend line breaks (like ascending or descending trend line breaks) for swing trading. For day trading, I’ve looked more for those exhaustion moves where news has caused an overreaction and the stock needs to come back in, so those are the ones I’d say have been most profitable to me in recent months. I also detail the most profitable one in the Advanced Trading Course . The key is to remember that what’s working well right now will eventually morph into something else, so we have to stay on our toes and be willing (and able) to adjust when conditions deem it necessary.